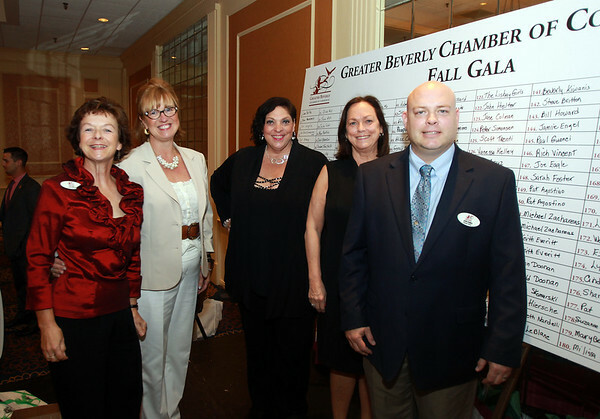 From left: Fay Salt, of Caldwell Bank, Meg Kelley of the Greater Beverly Chamber of Commerce, Karen Nascembeni, of North Shore Music Theater, and Robin Foster and John Somes, of the Greater Beverly Chamber of Commerce, at the annual Greater Beverly Chamber of Commerce Gala held at the DoubleTree by Hilton Hotel in Danvers on Wednesday evening. DAVID LE/Staff photo. 9/17/18.